We are the sole owner of the information collected on this site. We will never sell, share, or rent this information to others... Ever! MSC collects information from our users at several different points on our website. For a user who places an order, we request personal information on the order form used in the shopping cart. Contact (name, address, email, etc.) and payment information (credit card number and expiration date) are requested. This information is used for billing purposes and to fill the customer's order. If we have trouble processing an order, we will use this information to contact the customer. 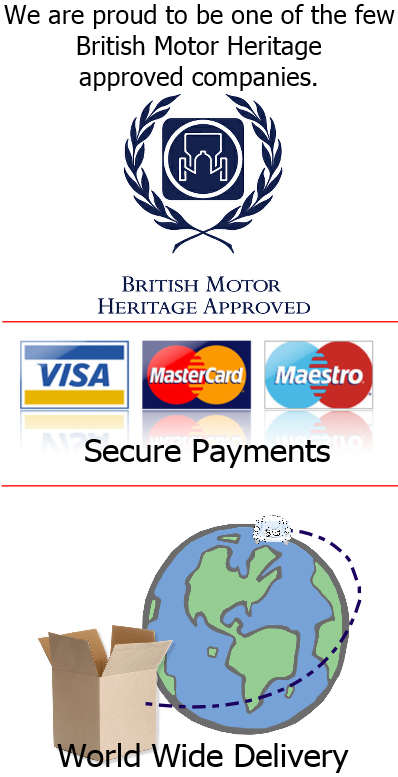 Credit card transactions are processed off-line using our own merchant account. This website may use “cookies”. Cookies tell us which parts of our site people have visited so that we can improve our content and services. They also enable you to retrieve products saved in your shopping cart without having to select all of them again. However, these cookies will eventually expire if there is no activity in your cart, e.g. view, add to, etc., for a number of days. This website's cookies do not contain any personally identifiable information, and therefore to optimise your viewing experience we recommend that you allow their use. You may disable cookies in the options settings of your internet browser if you prefer (please check with your provider if you are uncertain how to do this), and you may still use our site, but you will experience limited functionality in some areas of our site. For example, you will not be able to process an order through our shopping checkout area. This web site may contain links to other sites. Please be aware that MSC is not responsible for the privacy practices of such other sites. We encourage our users to be aware when they leave our site and to read the privacy statements of each and every web site that collects personally identifiable information. This privacy statement applies solely to information collected by MSC. This website takes every precaution to protect our users' information. When users submit sensitive information via the website, your information is protected both online and off-line. When our registration/order form asks users to enter sensitive information (such as a credit card number and/or contact information), that information is encrypted and is protected with 128 bit encryption software over an SSL connection. While on a secure page, such as our shopping cart checkout forms, the padlock icon on the bottom of Web browsers such as Netscape Navigator and Microsoft Internet Explorer is displayed as locked. At MSC your privacy is extremely important. If you have any questions about the privacy statement, the practices of this site, or your dealings with us, please contact us and let us know. Thank you.